Very stylish! Great for Fall and Winter. 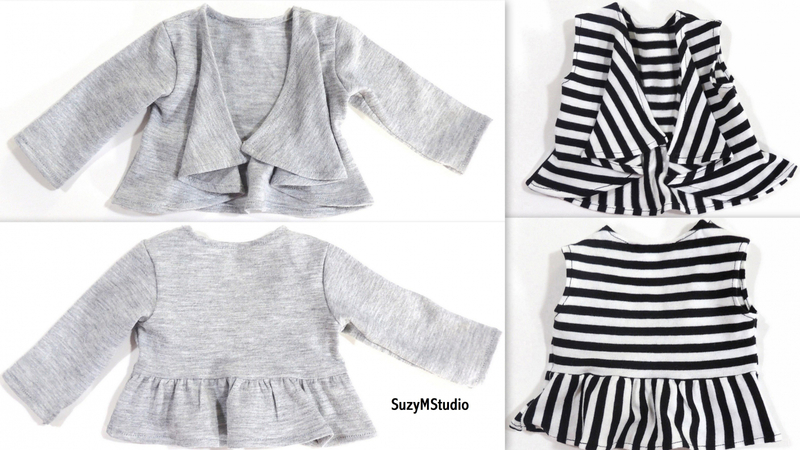 Draped Cardigan and Vest PDF Sewing Pattern. Suitable for cotton knit fabrics or t-shirt material. 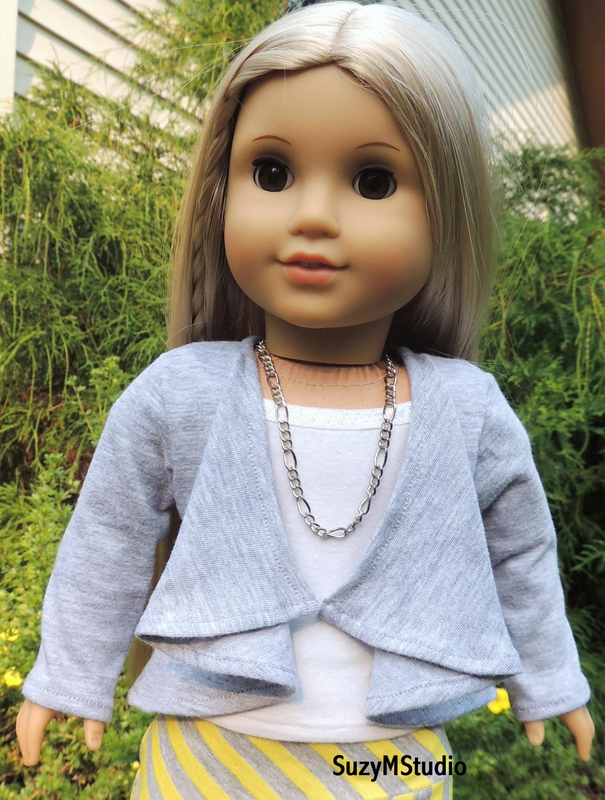 Made to fit 18 inch doll and easy to make. The PDF file will be sent to you in a few minutes after payment received. You will need a PDF reader installed on your computer to download the pattern. Sharing, selling this document or mass production of clothing made using this pattern are not allowed. You may use this pattern to create clothing to sell, hadmade only. The only thing I ask is you credit "SuzyMStudio". 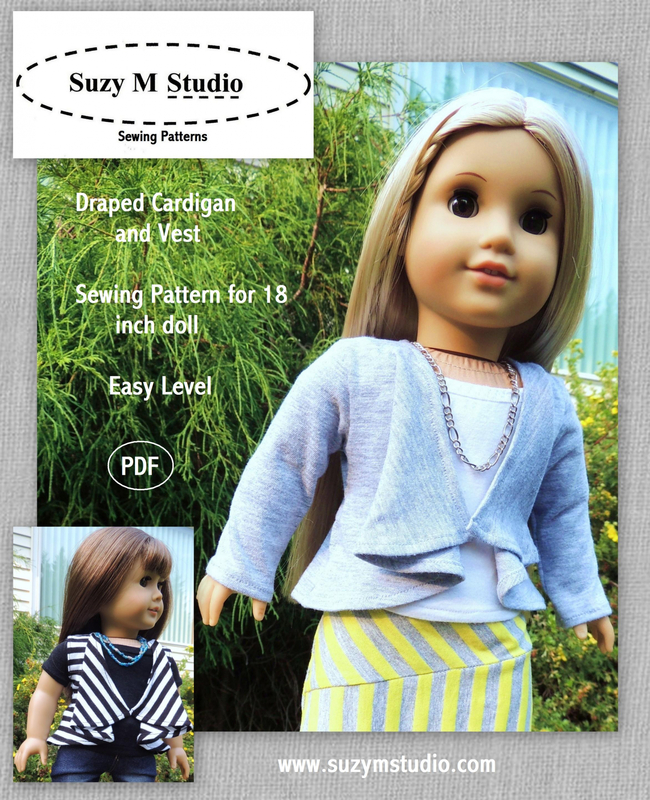 All Patterns are delivered via PDF file, you will receive an e-mail with a link and a password to download your pattern after you complete the purchase, save it in your computer as soon as you can. Payment is made through paypal. Any question, please contact me. Thank you! You can also find me on my blog, Facebook and Pinterest.